More Gundam goodness on the way! Bandai Namco's popular smartphone game Gundam Conquest is coming to PS Vita in the form of the new title Gundam Conquest V, according to the latest issue of Famitsu. 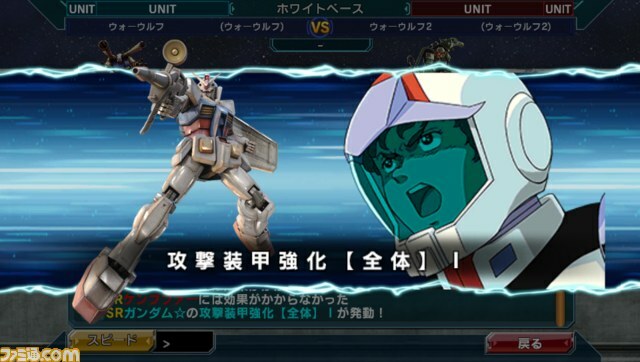 While the app previously costed 350 yen for smartphones, the PS Vita version will be including additional and expanded content for Gundam fans. It's not been disclosed yet as to whether or not we'll be able to expect English versions of the game, but given how big Gundam tends to be in the West, it's likely we'll see a Western translation. That's about all of the details for now, but when this week's Famitsu is fully translated and released, there'll be more information about the game. For now, go ahead and start freaking out. 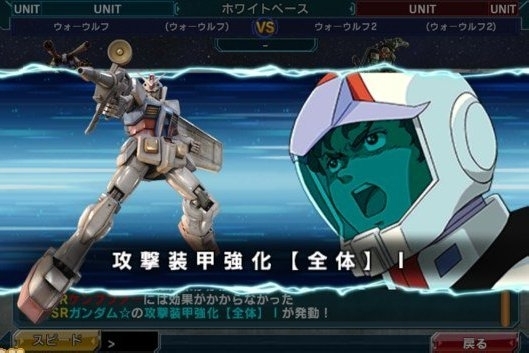 It's a brand new Gundam game, well...to us, anyway.